Under my research notes here, is the write up of "Why Change Dog Food from ____ to ____?" Life's Abundance dry Grain Free All Life Stages is an on-line order product, not found in stores. Tes receives a commission for your purchase - Thank You! Check out their website for a variety of flavors and products. 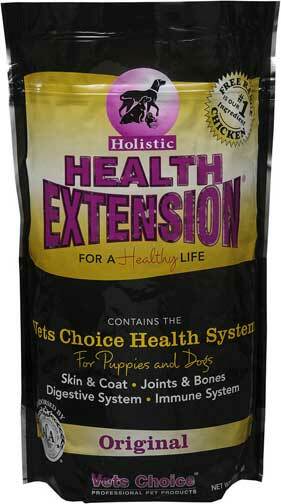 July 2016 - 4.5 star rating for Holistic Organic Vets Choice Life Extension Grain Free (Chicken & Turkey)! This is what we currently rotate feeding our spoos. February 2015 - "Holistic Organic Vets Choice Life Extension" dry dog food...FINALLY Bruno's ears are clear with the help of this Vets Choice dog food and click here for the Blue Power Ear Treatment under B. Weekly Basics and Grooming; 1. Ear Cleaning...newly updated you'll see and read how bad his ears got from also being on a months worth of antibiotics to kill off anaplasmosis, a tick born disease. Antibiotics killed his natural flora and the way it manifested was through his ears, unable to heal from just eating the better dog food. At least the Vets Choice helped eliminate the black tarry substance that the Blue Power ear treatment could help his body respond quickly. As I have personally been on a raw organic diet for a good 7+ yrs, I have wanted to do so for my spoos but the expense was hard to realize for the number I have. I am very happy to know I can purchase Vets Choice from the East coast warehouse at a price I would pay for the other non-organic dog foods. I just hope the consumer can take a look at the product and find it worthwhile for their pets. My goal to help find the top 10 points below may not be achieved for the consumer, YET a better product overall for the health of our pets! This has been one tough year for ear problems in trying to find the best dog food for them. An e-newsletter came in this week 2/2/15 on the various feedback of a Raw Meat Diet . One of the past University seminars I attended covered the variables in this write up...so many decisions in the world...I will never do raw feeding with the number of spoos I have with kids and elderly who come and visit. YET many pet owners and some breeders do work with it successfully...research, research. January 2015 - Well, DVP lamb grain free is helping healing their ears slowly! Blue Buffalo didn't clear Bruno or Cleopatra's ears :o( They're still shaking their heads with the black tarry ear cleaning still disappointing. I ordered a couple of bags of Vets Choice on-line through Pet360.com...sorry it isn't found at stores in central or West USA yet. They have a drop ship program for buyers. December 2014 - No vet medicine was healing Bruno...which I determined to switch him back to DVP Ultra with lamb as all their ears were clean and healthy when on. I received it from the warehouse, began feeding and still no results! They CHANGED the ingredients - no more lamb in the Ultra DVP (new company changed formula)!! I called them and explained my situation, where I exchanged them for their DVP lamb grain free ingredient dog food THEN he began to heal. Bruno was tested for tick born diseases in December and was positive for anaplasmosis, which I then had all the spoos tested for at that point. We began Bruno on his medicine which had to continue for a solid month...totally destroying his gut flora causing his ears to become absolutely distressingly ulcerous raw. I continued on the chicken Blue Buffalo grain free dog food with most of the other spoos as it is a good product and no problems with them :o) Found easily at most pet stores. Minnesotans can find it at Fleet Farm stores as well. Rotating between brands helps eliminate allergies explained by Dr. Mark. So, I will continue to use Blue Buffalo on occasion. August 2014 - My spoos on Blue Buffalo "Wilderness" grain free has slowly been clearing up 3 of the 6 spoos ear infections on this dry dog food...until this rotation of Salmon flavor (I have rotated flavors)...now they are shaking their heads a whole lot more this past week and a 4th spoo is now having issues with her ears. I will be eliminating the Salmon blend from their diet to clear them up again. July 2014- The 3 of the 6 spoos with ear infections are shaking their heads a LOT less. Cleaning their ears is much less gook. Appears to be working with Blue Buffalo for the 3 with issues that arose from Merrick's dog food. March - Bruno and Jasper were getting ONLY one of their ears very gunky, tarry ear infection. If a food allergy it would be in both ears. Dr. Mark arrived for their monthly chiropractic adjustment and found the nerves pinching on that ear trigger point and adjusted both of them. I am being watchful of them...no one else has tarry ears...it is only one ear on each spoo. Young Valentine is continually jumping on them and with our icy meltdown of snow, they have been falling more this month. I am watching. February - they were eating far less dog food compared to DVP...my thought was they didn't like it... Dr. Mark LaVallie explained, with grain free you may pay more money for this but the pet eats less of it due to it's higher protein, they don't need to bulk up on grain free. The grain dog foods bulk the canine up because he feels he's not getting enough to eat...okay, how did they tell us that? research showing they kept their weight with even eating less grain free. January 2014 - Merrick's grain free dry dog food - No Flatulence! First; I have respected and trusted DVP Natural Balance dry dog food to help turn my past standard poodle health concerns around from a past dog food having created ear infections, terrible hair health, toe chewing, and LOTS of flatulence. DVP turned it ALL around! I have used it successfully for a good part of 6 yrs. The second part – CHANGE! It’s a part of life whichever way we turn. Changes come educating ourselves on understanding food; ingredients as natural vss organic vss *GMO. In society as we learn more about foods, changes then move into commerce with companies producing products here in the USA…or shifting production to another country, such as China. I will not use general unwarranted notes as I write here, it is facts that I go by from research and actual dealings (details can be provided upon request). Del Monte purchased DVP last year, their decision of producing some of their products in China or ingredients from China, has caused me to change dog foods after customers brought their questions to me of what plans I had if in continuing use of DVP. The new year has come and I have made the decision. Some of my behind the scenes of why change: in early 2013 I started receiving emails from customers on the fact DVP would be purchased, and then purchased, by Winter the facts came of DVP products to be manufactured in China and/or ingredients from China. Having a *CAD business in the past where I would design and send projects to several different countries, China being one, those project patents were stolen. In starting to breed standard poodles, I did sell a stud to a Chinese International scientist who I respect and know to do well. It is here that I began learning some of the VARIOUS Chinese REGIONS insane practices with peoples pets; I know we all have a viewpoint of what is insane. Then the rabies outbreak in Southern China 2005 that brought so much distress to so many from the government’s destroying thousands of beloved pets, then the bad dog food poisoning our pets from Chinese ingredients, then bad paint in dishes and so on it goes from a country whose ethics are not ours…at least most of ours, and most certainly not mine. At this place and time in my life, I cannot trust China's manufacturers to feed my beloved pets via Natural Balance dog food ingredients from China. I just cannot. This is my integrity. 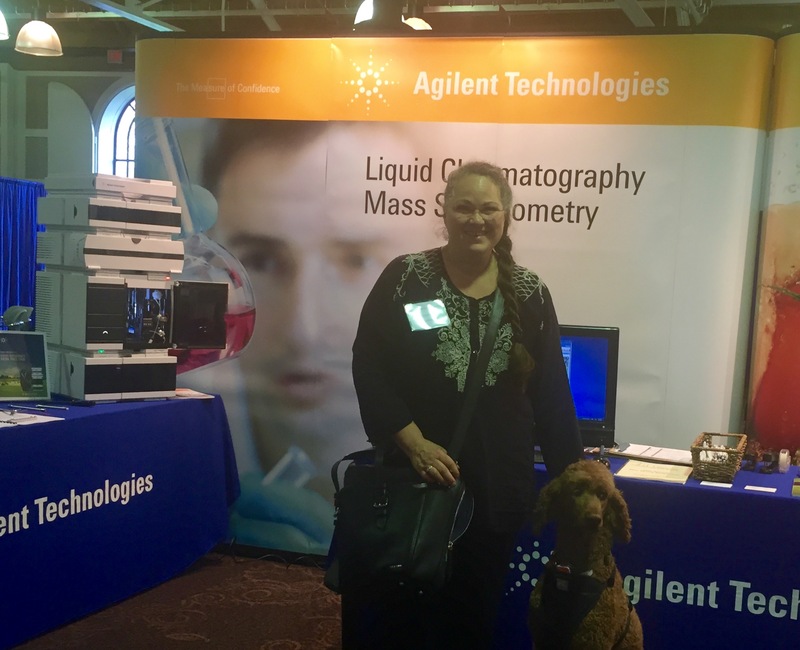 Phase three: research to find my standard poodles, and customers, a product comparable to what I have so trusted in DVP. Over the years of breeding I have gained a lot of knowledge from seminars, schools, here and there, doing my best to discern all the variables and considerations in what will be best for our next food. The food needed to be in the top 5 star rating on this page. The food needed to be purchased from two of the pet food warehouses in the Twin Cities to have easily delivered to me. It should be in a mid-price range for lookers, customers, and me as was DVP, to keep a reasonable pet price. I wanted to look more to a natural product having changed my life to eating more organic raw foods myself, knowing this would be best for the spoos as well. I wanted to look to grain free if I could due to the above and many lookers voicing this desire. 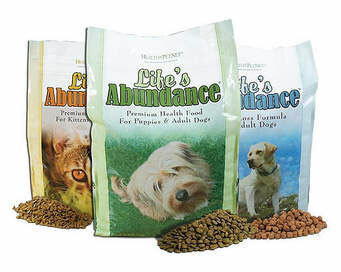 The dog food needed to be easily found by my customer at local pet stores as Petco or Petsmart. AND, a USA produced dog food…these are my top 10 points to find the right one for us. I have found it may take the 8 months for good research to know how my spoo’s health can be maintained with this 5 star rated dog food. Only time and the research will show me in the months ahead. 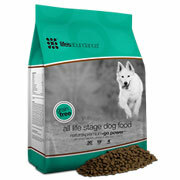 You can find other Merrick dry dog foods to try as well. There is more behind all of this, yet have done my best to be concise and brief to the best of my knowledge for your review and decision making…this does change my contract until research is complete.